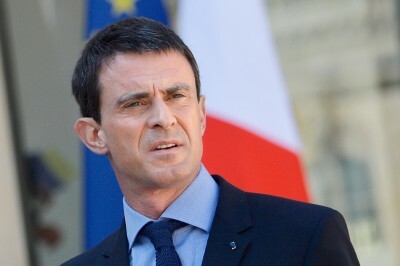 This seems to be the cornerstone of Valls’ political relevance, which he has basically repeated over and over, for the better part of the last two years despite the fact that both the Charlie Hebdo and Paris Bataclan events exhibited very clear signs of GLADIO-style domestic terror stage play. In January 2016, while addressing an Israeli lobby delegation, Valls read off a list of ‘ISIS’ terrorist attacks along with other ‘terrorist’ incidents in Israel, claiming that this was proof that, “we are in a world war”, while not ever uttering a word about Israel’s brutal, militarized occupation and their systematic ethnic cleansing regime waged against the native Palestinian residents since the creation of the State of Israel in 1948. Is this a case of the state and its transnational security conglomerates manipulating the public into unquestioningly accepting an indefinite siege mentality and a permanent, full-blown police state? It appears once again, that we are witnessing an attempt to transform large parts of western society – through a further realignment of public and state political and economic priorities into what is commonly referred to as “security theatre,” which, in reality, has nothing to do with actual security, and everything to do with domestic political and geopolitical theatre.